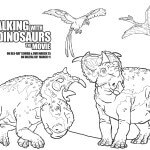 Walking With Dinosaurs walking into your home on Blu-ray & DVD | DaDa Rocks! 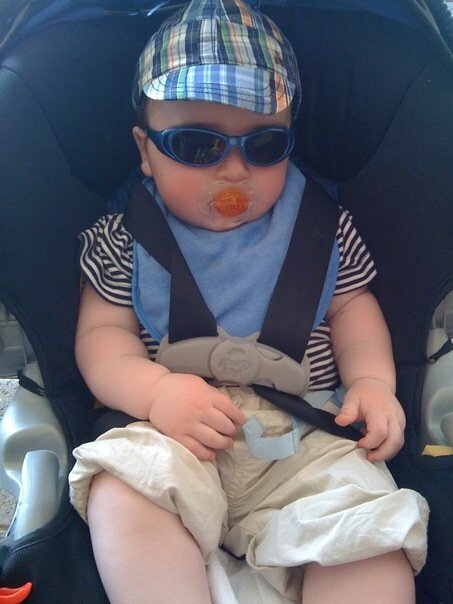 Shown as part of the NYC Children’s Film Festival and based upon the BBC series of the same name, Walking With Dinosaurs, the movie, was a 3D visual delight. Walking With Dinosaurs was created as a family film about dinosaurs during the Late Cretaceous period. The movie featured stunning visuals with on point CGI and lavish scenery filmed in Alaska and New Zealand. Starring John Leguizamo, Justin Long, Tiya Sircar, and Skyler Stone as voiceovers for the main characters, the movie is an endearing story about Patchi, a runt Pachyrhinosaurus, finding love and his ascension to the leader of his herd. The movie takes us through Patchi’s journey from childhood to adulthood through many years of the herd’s north to south migration. It takes us through Patchi witnessing his father’s death, to him falling in love, then watching his brother steal his girl, to Patchi finally becoming the leader of his herd. Throughout the movie, I continually marveled about the beauty of the visual production, the realism of the dinosaurs and the scenery. 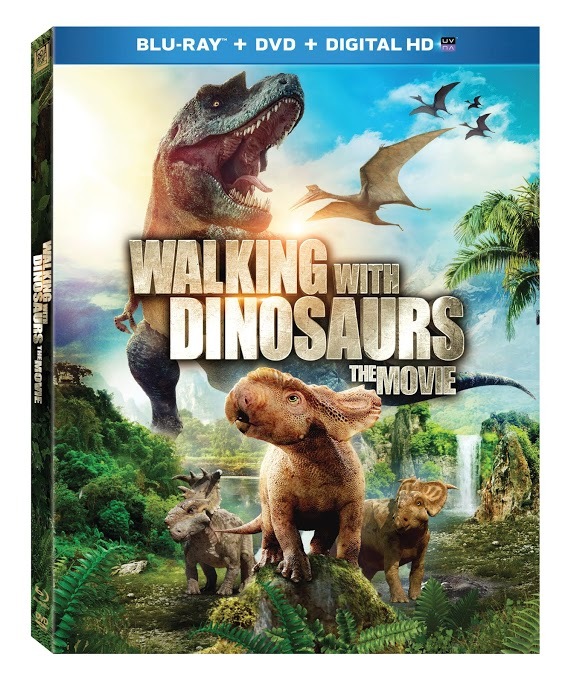 Dino fans of all ages will be ‘herding” to get their own copy of Walking With Dinosaurs The Movie, releasing on Blu-ray and DVD March 25. Hailed by viewers for its explosive visual achievements, Walking With Dinosaurs is “Jurassic Parkmeets The Lion King” (The Today Show) and “…too good a visual treat to miss” (Philadelphia Inquirer). 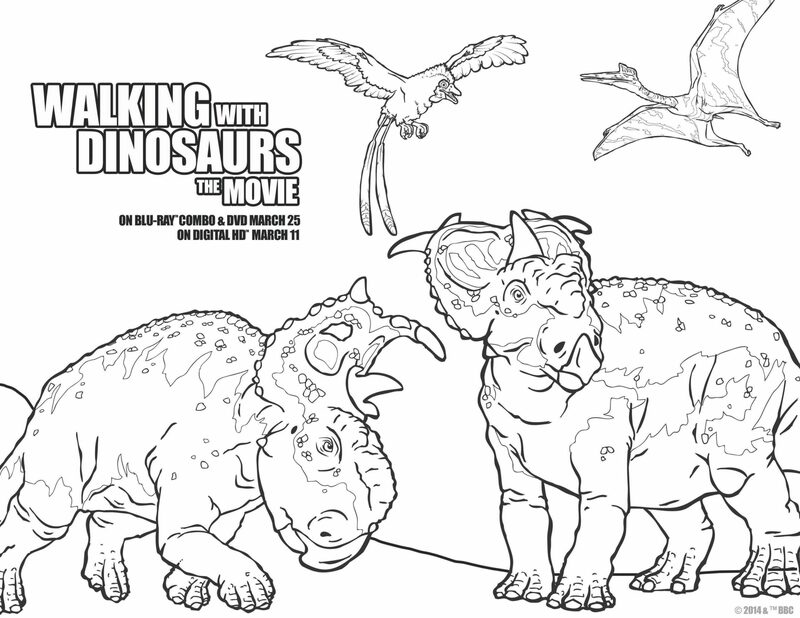 I’ve also got a great Walking with Dinosaur coloring sheet for those children that love coloring.